What would you do if the hottest new female country music singer asked you to come up to her place? 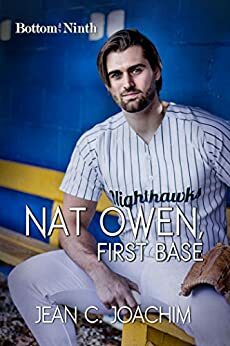 Nat Owen, formerly nobody from nowhere, now World Series MVP followed his instincts. The star first baseman fell under the spell of the singer the minute she batted her eyelashes at him. Nat Owen is at the top of the world. He’s a World Series MVP who just spent the night with Lucy Albright, CMAs top female vocalist. He’s famous, hungover, and has another date with her, but he wants something more meaningful. He wants Nicki. Nicki is Nat’s teammate’s friend, a professional softball player Nat’s been crushing on for a while. He doesn’t realize she’s been crushing on him, too. She represents everything he truly wants, if he just realized it. But Lucy Albright is a star, and Nat still sees himself as the small town nobody he used to be. So it’s appealing to be with a star. But the more Nat gets to know Lucy, the more at odds her lifestyle is with who he is. Drinking, drugs, partying all the time and busting up hotel rooms. He wants something more real, but he sure does like the dark life. When a snow storm disrupts Nat’s life, he is forced to make some decisions he’s been avoiding. But will he make the right ones? This story is an emotional page-turner. Nat is a likeable guy in a crazy situation. He just makes decisions that aren’t necessarily the best for him. This book is part of a series, but you don’t need to have read any of the others. Wow, where to start. I truly enjoy seeing things from the players standpoint and learning about each players background really brings them to life for me. Nat always felt invisible, So I do understand the attraction and the appeal that he had to Lucy. It is sad to say that a lot of people fall victim to the glitter and glam of being in the spotlight and don't lose the blinders until it is to late. Nicki saw the real Nat, the shy guy who made her smile. She is a school teacher who plays catcher for the women's pro team. She is not flashy or in the news but they had a connection and a chemistry right from day one. This was a well written storyline that focused on the choices we make and the consequences of those choices. The story is filled with true life situations, drugs, alcohol, steroids and losing ones self in the race to reach that coveted goal of fame and keeping it for more than 5 minutes. While I often felt like smacking Nat to get him to see the mistakes he was making I also felt sorry for the pain he was causing , the pain he was sure to feel when he finally woke up and lost the blinders. Another great story that pulls you deeper into the Knighthawk world leaving you wanting to start the next adventure to see who falls next. I volunteered to review this story for my honest opinion. Well as much as I wanted to slap Nat upside the head, it is always easiest to see when someone else is making a wrong decision. I will say that I think this was by far my favorite. As much as Nat achieved in his career, he was still star-stuck and made bad choices. It really made the character oh so real. I loved how humble he was. Nicki was a strong lovable woman, who was perfect for Nat. This book was a hard one to put down. I was enthralled to see what was going to happen next that I didn't want to stop reading. The characters are so easy to identify with. I highly recommend this to anyone. I enjoyed this very emotional read. As Nat struggles with the temptation of all things that glitter you get to enjoy the roller coaster ride that it will send your emotions on. While it was so very easy to sympathize with and understand his all too realistic behavior, you are still left wanting to scold him for it and tell him he's being a fool. Nicki was a wonderful character and I felt very bad for her. The situation that Nat put her in was very unfair and painful. In the end it was an engaging, emotionally moving romance about being true to yourself and holding on to what's real instead of chasing rainbows. I'm posting a voluntary, honest review after reading this book.